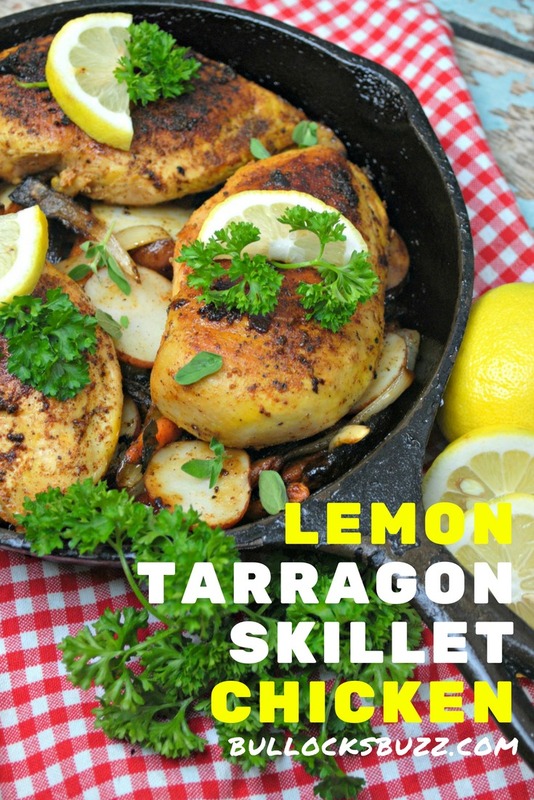 Tender, juicy chicken is marinated in fresh-squeezed lemon juice then cooked in a cast iron skillet along with fresh vegetables seasoned with tarragon in this simple one pot Lemon Tarragon Skillet Chicken meal. 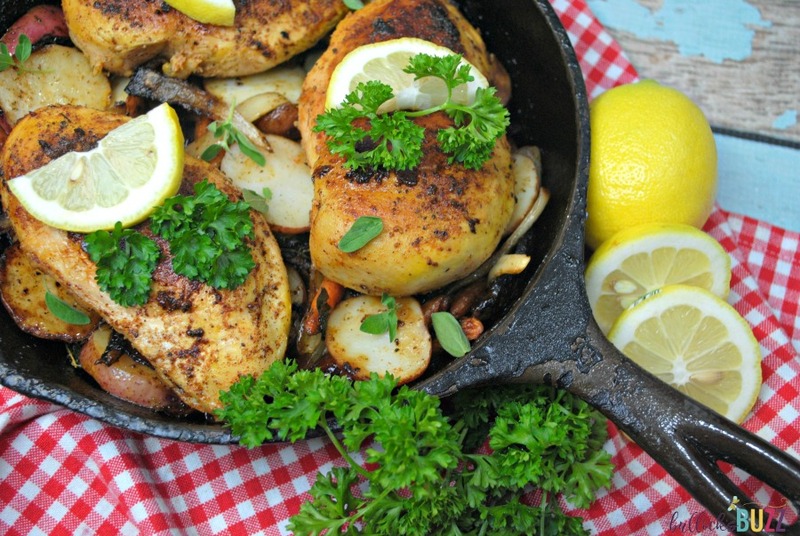 Great meals happen when chicken meets a hot cast iron skillet, and this recipe is no exception! It doesn’t get much easier, or more satisfying than being able to fix a complete chicken dinner in one pan in just half an hour. This delicious skillet chicken recipe is perfect for busy weeknight or last-minute meals. All you need are a few boneless, skinless chicken breasts, some fresh vegetables and a few common seasonings and you have a meal fit for a king! In a large, tightly sealed container add the chicken, fresh squeezed juice from 1/2 of a lemon, and seasonings. Let marinate for 2 hours in the refrigerator. In cast iron skillet add the olive oil and warm over medium to high heat. Once you start to hear the oil start to “pop” add the chicken breasts then cook on high heat for 5 minutes until the breasts look crispy. Flip and cook for another 5 minutes. Next, reduce the heat to medium and continue to cook for 10 to 12 minutes per side to ensure the chicken is completely cooked. 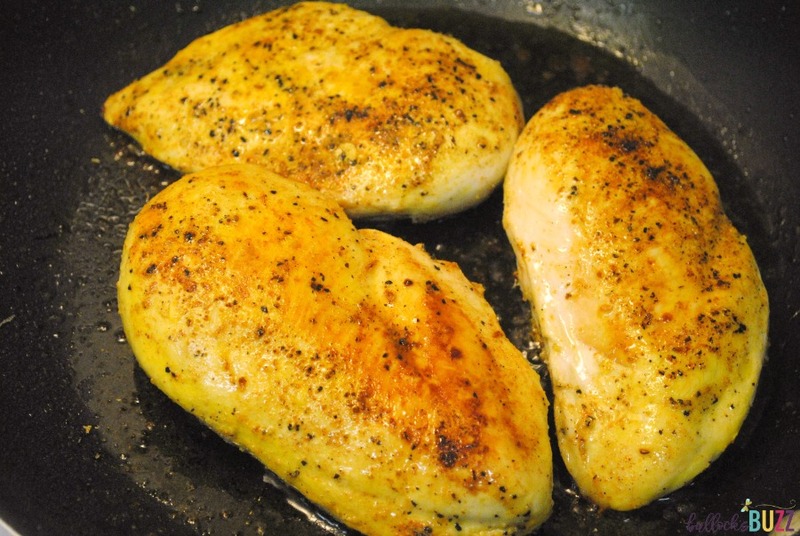 Once fully cooked, remove the chicken from the skillet and set to the side. 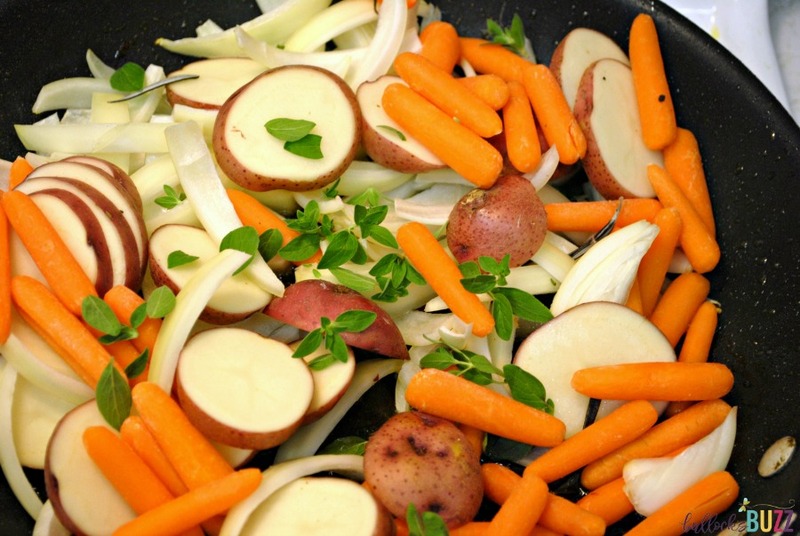 Now add the onion, potato, and carrots to the cast iron skillet, along with 1 tablespoon of tarragon and salt and pepper to taste. Cook the vegetables on medium heat until tender, squeezing the other 1/2 of the lemon over the veggies about halfway through. 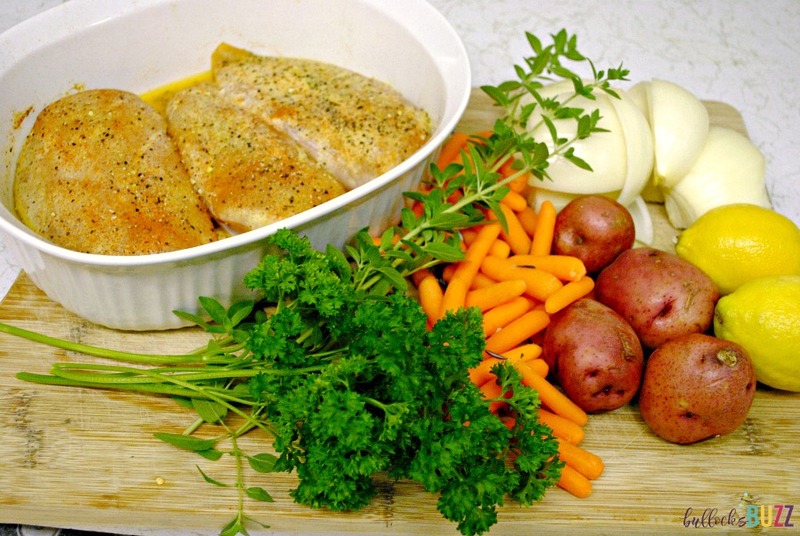 Once the vegetables are cooked, turn off the heat and return the chicken to the skillet. Garnish with parsley and lemon wedges, then serve. Do you have a favorite chicken skillet recipe? Share with us in the comments below!